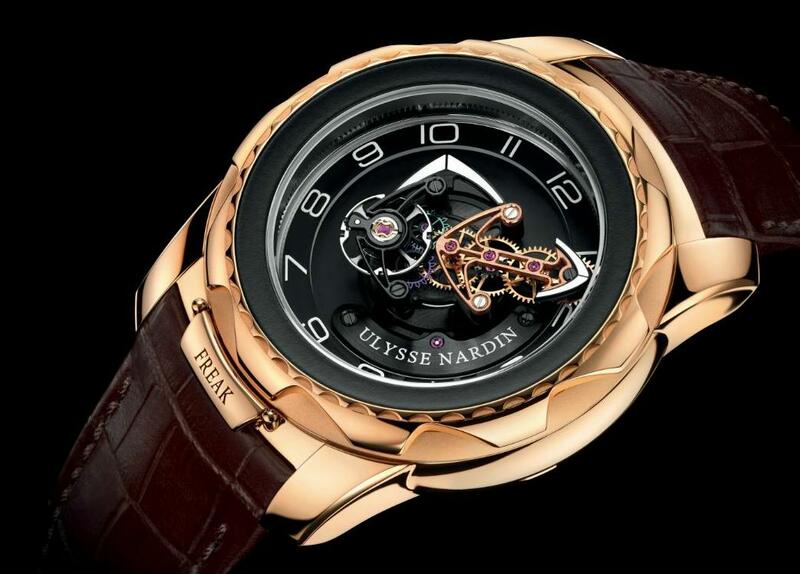 Watchmaker Ulysse Nardin isn’t afraid of being risqué. 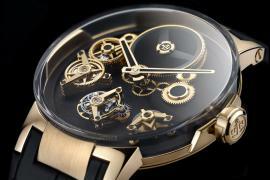 Recently, the company proved just this with the unveiling of a wristwatch that’s a little more than the ordinary. 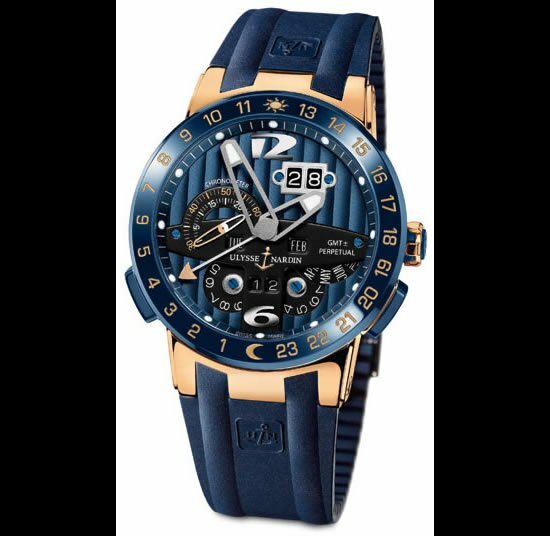 While most watches stick to traditionally designed watch-faces with numerals or patterns to denote the time, this Ulysse Nardin takes a more sensual route. 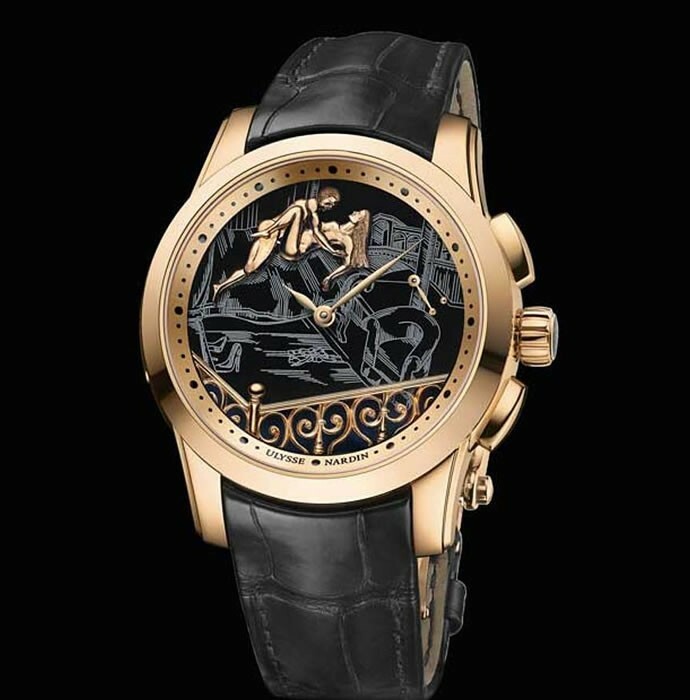 Called the Hourstriker Erotica Jarretière, the watch pays tribute to Venice, the “city of lovers”, with the depiction of a couple making love on its black-onyx dial. The figures, or Jaquemarts as they’re called, are handcrafted in 18-karat gold in the foreground, while the Rialto Bridge over the Grand Canal is depicted on the background. 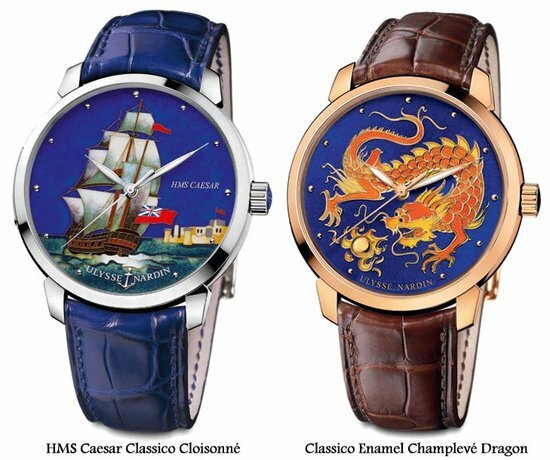 The romantic scene is extremely eye-catching, making this watch grab second-looks with ease. 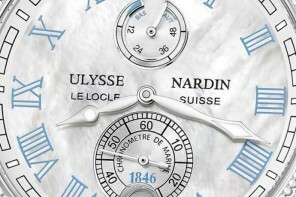 The watch features Ulysse Nardin’s Hourstriking mechanism and a 42-hour power reserve. 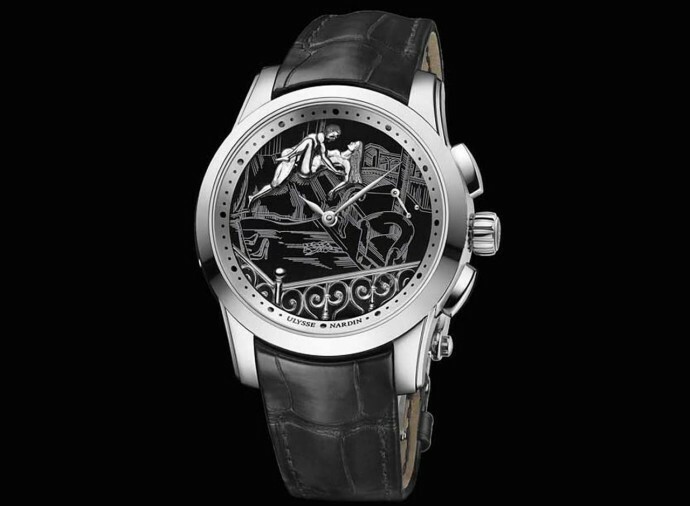 The Jaquemarts are animated every half-hour or hour, or when the wearer pushes a button on the watch’s side. 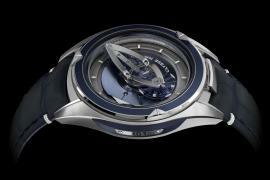 To keep the watch’s seductive dial clear, a sapphire-crystal case has been added to this one. 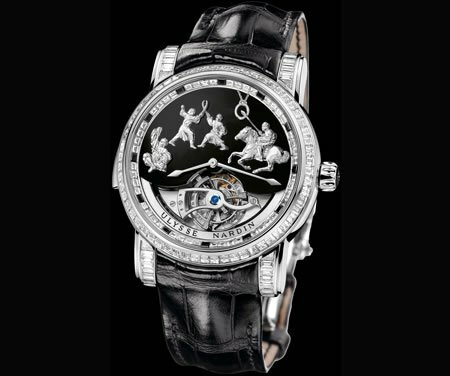 A crystal back exposes the insides of the watch, while the Erotica Jarretière is capable of withstanding water up to 100 feet. 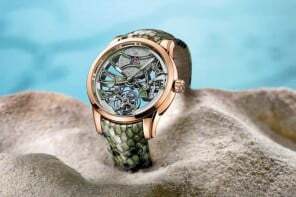 Available in 18-karat rose gold platinum, this is a limited edition watch, with only 28 of each example slated to be sold.